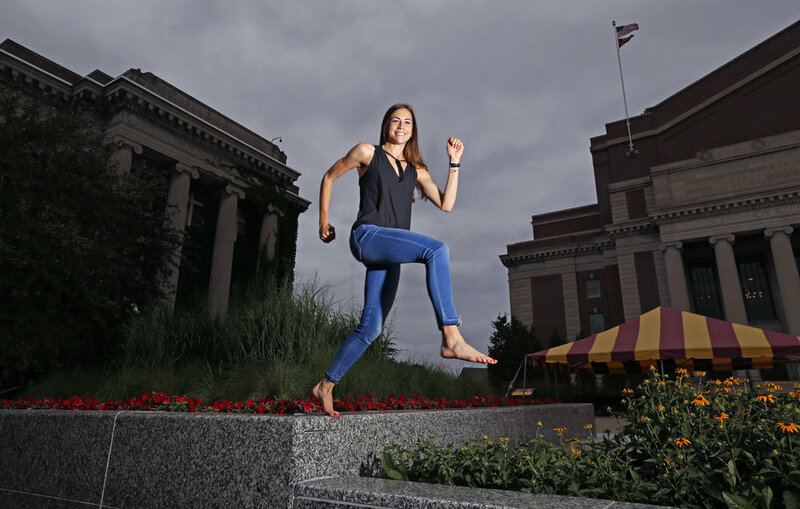 When she walked on to the Gopher women’s track & field and cross country teams, Madeline Strandemo had modest goals. Even if modest looking back on them now as she prepares for her senior season, her dream of competing at the Big Ten Championships seemed like a stretch when she arrived on campus for her freshman season. Now having that dream realized, her new dreams have grown even larger. Strandemo not only competed at both the Indoor and Outdoor Big Ten Championships last year, she won a conference title at each meet, taking the indoor mile title late last winter before adding a 3,000-meter steeplechase title at the outdoor event last spring.